Congratulations to Melinda Harris on her new Avalon Equine Foal! Madhatter is the epitome of a dual purpose pedigree. His sire, Mannhattan, competed to Level 8 in the jumpers before a career ending injury. He has also produced several offspring that have competed to Grand Prix in Dressage. His dam sire is Edelweiss de Bonce, who's pedigree screams jumper. However, Edelweiss competed to Grand Prix in dressage under Catherine Haddad-Staller. 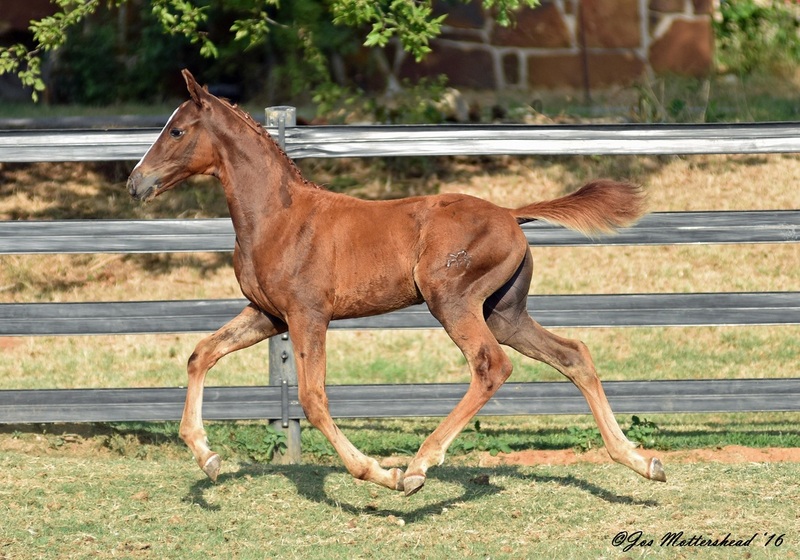 A beautiful colt with a wonderful, pleasing temperament, all wrapped up in a bright copper coat, Madhatter will make wonderful competitive partner. He already exhibits three correct gaits, an balanced, floaty trot, his sire's beautifully cadenced trot and the willingness and technique to jump whatever obstacles lay around in his pasture. If you are interested in Madhatter, please contact us for easy terms, discounted board and reasonable pricing!